Again, thank you all for your input. I know the other day I came off bull headed about this situation and even became argumentative. I sincerely apologize about that. I completely understand where you all are coming from and understand that you all have my best interest in mind. I really do appreciate that and that is why I first posted this post. Currently I am going to look in to other options. Driving a tanker is still something that intrigues me but clearly I need to get better experience first. The tankers aren’t going anywhere! Lol. Although I’m not sure what route to take next, I will look into something not quite as dangerous. Thank you all again, and once more , I apologize for the attitude earlier. Safe travels! I do apologize for becoming defensive. Itjust seems that I’m being made out to be fresh out of school and never being behind the wheel. I will take all of the comments of this post into consideration and I value all of your opinions. Perhaps I may have taken on more than I can chew. Again, thank you all for your advice. So then you've considered the fact that you're taking the lives of innocent families into your own inexperienced hands and accepting a job you do not yet have the experience or skill set to handle safely? If you received a phone call today saying a family member was killed by an inexperienced truck driver who decided to take a job they weren't yet prepared to handle, how would you feel about that? Wouldn't the obvious thought be, "Why would he do that?? Why wouldn't he have gotten a little experience first instead of putting other people's lives at risk?" There are plenty of safer job opportunities out there that pay just as well and can get you home on the same schedule. I think you should reconsider your choice. I take this into consideration every time I get behind the wheel of not only my work truck but also my personal vehicle. And to say I don’t hold the experience or skill set to perform this job is wrong. How do you know what skills I have? Have been in a truck with me? 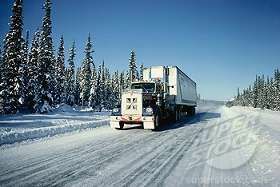 I’ve driven in snow and ice conditions, I do it every day! Ive been behind the wheel of a commercial vehicle for 3+ years. Yes, you’re right, not pulling a tanker, but that is where training comes in. I wouldn’t put myself in a situation that I can’t handle or don’t feel comfortable in. Safety is always top priority and I will not jeopardize that for innocent drivers, or myself. Thank you all for your input so far. I want to let you all know that I am not going into this blind. I have researched what comes with hauling a tanker and am not taking it lightly. By no means do I think this is going to be an easy job. I decided to go this route with my career for a couple different reasons. The challenge of it being one of them. Pulling soda around for the last year and half hasn’t been bad but it’s not for me. I want more of a challenge. Another reason I took this job is because of the company I’ll be working for. I have heard nothing but good about them. They will be putting me through a few weeks of training and I plan on soaking it all in. The home time they offer is good and certainly beats being gone weeks ata a time doing otr. Do you have any experience? That's a really tough way to start this career. Tell us a little more about it. I’ll be driving for Caledonia Haulers. No, this is not my first driving job, I hauled garbage for 2 years ( class b ) and most recently have been working for Dr Pepper delivering out of a 28’ pup trailer. I’m starting with a local company hauling a food grade tanker. I’m looking for any and all advice you might be able to offer up! Thank you in advance!